The charms of John Abraham and Kareena Kapoor can be credited for breaking an eight-decade-old Dutch corporate custom of not having any celebrity endorsements. But, in the rough and tumble world of India's consumer electronics market, nearly anything that can work will be tried to drive sales. 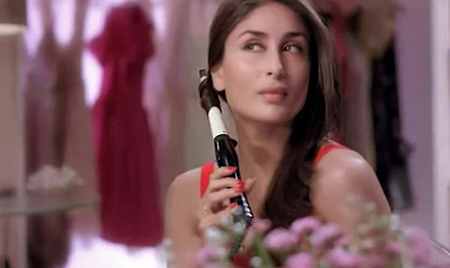 This is why, after years of resisting celebrity endorsements, Philips, the 121-year-old Dutch electronics major, brought John Abraham last year to endorse its male grooming products, such as electric shavers, and Kareena Kapoor in August this year to push its female grooming products. "With the personal care category growing at a fast pace, we felt it was important for us to give a face to the brand," says Rajeev Chopra, managing director & vice-chairman, Philips Electronics India. "We may look at further endorsements if they suit a category and a business need," he adds. The logic, as Chopra has alluded to, is simple. In a country where more than 53 per cent of the population is below 25 years of age, tapping into the youth segment can be big business. "Philips is known for its sleek, clean design which speaks to a younger and more modern target group," says Chopra. "It actually started with the introduction of MP3 and MP4 players, followed by body groomers and hairstylers," he adds. In the past four months, Philips India has launched 23 youth-focused products. Eighteen of them are in the consumer lifestyle and entertainment segment, including docking stations, MP3/ MP4 players, home theatre systems and colourful and funky headphones. "Moving from what you hear to how you look, we've also been aggressive in the personal care category. We have products targeted at the youth market, which demands the latest looks, quickly," Chopra says. Consequently, it has been raining personal care products from Philips with shavers, body groomers, hair stylers, curlers, straighteners and dryers hitting the market. These include AquaTouch (dry and wet shaver) and BodyGroom (a body groomer for men), targeting young males mostly in the age bracket of 16-24 years, who represent a Rs 1,500-crore (Rs 15-billion) business opportunity. Even the normally prosaic category of lighting hasn't been spared -- the company has introduced youth-focused products for the lighting category with LivingColors lamps. This Rs 5,500-crore (Rs 55-billion) India wing of the Dutch giant doesn't disclose a revenue break-up across segments. But, the problem is, it can't exactly do away with its past. 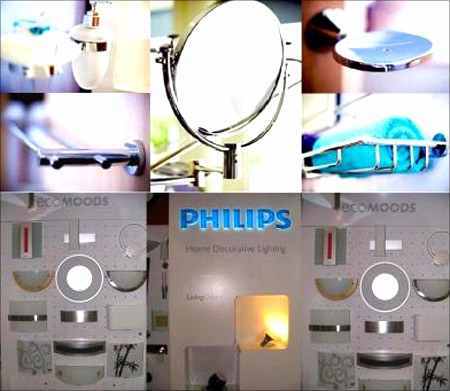 "Celebrity endorsements won't help, because Philips is known as a real company, with real products for real people," explains brand consultant Harish Bijoor. 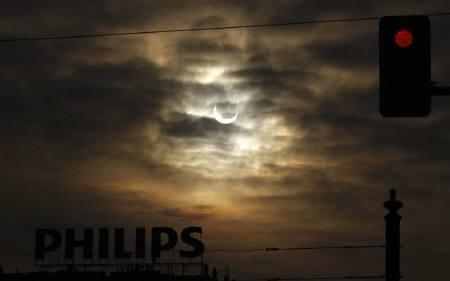 "If Murphy was associated with the radio, it used to be Philips for the light bulb. Yet, the company missed out on domestic demand. Now, it looks like they've got the focus back, but they need to reach out to the rural youth. They need to focus their publicity and their approach needs to change." The company is trying to do just that. Philips believes that its youth-centric strategy will result in at least a double-digit growth in the consumer lifestyle business. Besides launching new products, it plans to increasingly tap tier-II and tier-III cities over the next five years. Philips has a good brand recall in smaller towns, and, even in the more remote, rural areas in India. Ironically, it does so with a product range that is almost extinct in the company's portfolio -- transistors and tape recorders. 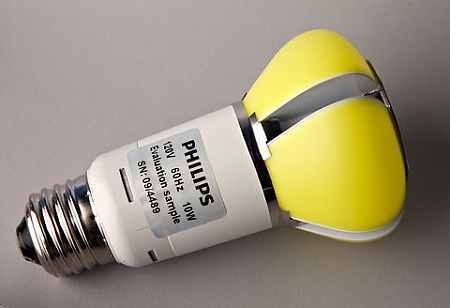 The company sells a very limited number of products in that segment, just to keep brand recall intact there, with the idea that as those populations move up the product value chain, Philips will be there to cater to their needs. 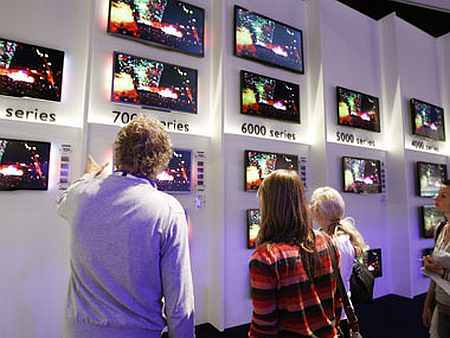 Philips started transforming its consumer business in India around two years ago when it decided to exit the manufacturing and sales of televisions after failing to compete successfully against companies like LG, Samsung and Sony. 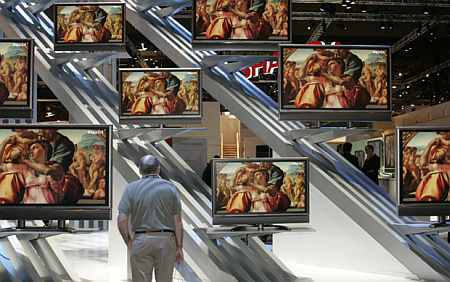 This resulted in licensing of the brand to Videocon to make and sell Philips televisions in India for five years. After that, it started reshaping the consumer business portfolio with new audio products, such as 'Go Gear' portable music players and LED home decorative lights. For all its efforts in the personal care category, some argue that Philips' hidden strengths are in its lighting and health care businesses. More than 55 per cent of the company's business comes from lighting, where as, globally, it earns just 34 per cent from the segment. The segment has been growing in double digits for the last eight years in India, Chopra mentions. While lighting represents a stable portion of the revenue pie, the health care equipment segment is a roaring business, growing at upwards of 30 per cent annually. During the last quarter, health care sales grew seven per cent, backed by hospital equipment like scanners. However, the overall contribution of the health care business is estimated at around 18 per cent. "We increased our market share across all product categories and are now considered the market leader in patient monitoring, cardiovascular, defibrillators and high-end MR and CT scanners," says Chopra. Philips has even entered the Indian kitchen in a big way. 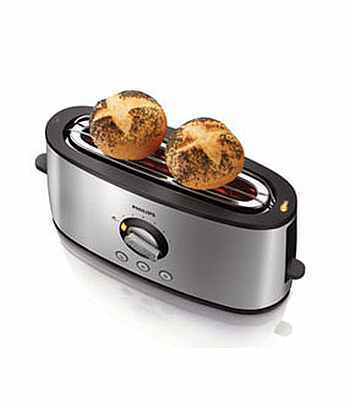 The company has introduced new domestic appliances like coffee making machines, induction cook-tops and AirFryers. As part of its growth strategy, Philips acquired the Chennai-based Maya Appliances and other group companies that owned the 'Preethi' brand, in April 2011. Preethi's strong distribution, mainly in non-metro towns, is a definite gain for Philips in India. 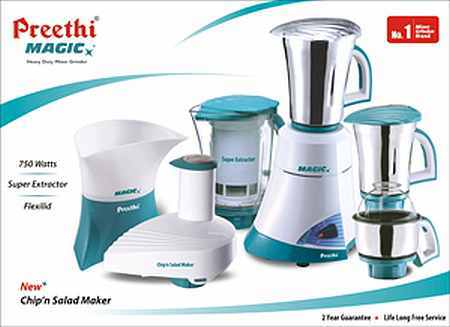 Preethi, with its range of mixer grinders, induction ovens, irons and electric cookers, is the market leader in the southern market. 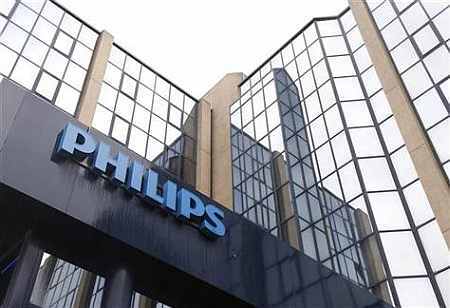 With the acquisition and new products, Philips currently commands over 25 per cent of the estimated Rs 2,500-crore (Rs 25-billion) kitchen appliances market in India, said Chopra. The company has retained the 'Preethi' brand for the southern market, but products are sold under the Philips brand elsewhere. "Now, it's time take Preethi globally," Chopra says, adding that Philips also has plans to use Preethi's manufacturing facilities as the "global hub for innovative product development". "Apart from boosting our leadership position in the premium segment, we are now looking beyond the top 10-15 per cent consumers. We will tap the market with a robust distribution channel, meaningful and customised solutions, the right pricing and promotional campaigns," Chopra points out. 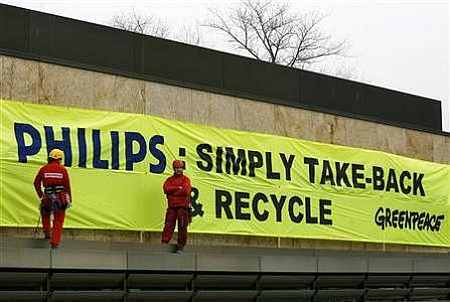 Many of Philips' products are home-grown. It currently manufactures CFLs at its Mohali factory and tube light and bulbs are being produced at Vadodara, in Gujarat. The research centre at Noida is engaged in localisation of products, in accordance with the Indian environmental and infrastructural norms. The company has recently started producing low-cost interventional imaging systems at the Chakan plant near Pune. These systems are targeted at the value segment in cardiology and radiology for use in smaller hospitals across the country. "This manufacturing facility will focus on diagnostic imaging solutions, initially developed for the Indian market and then for global markets," Chopra says. 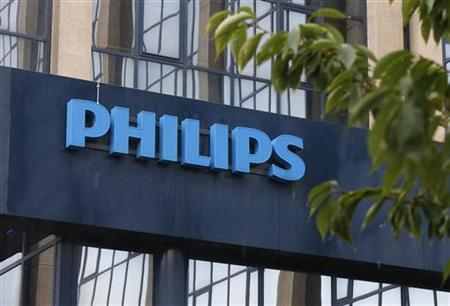 Philips recently reported 15-month results for its Indian operations ended March 2012, with revenues at Rs 5,579 crore (Rs 55.79 billion), a growth of 23 per cent on a 12-month comparable basis. Which is why, when the company announced 4,500 job cuts this year, and another 2,200 layoffs by 2014 on Tuesday, none of them was in India. 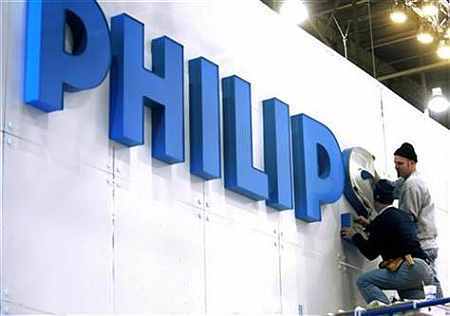 In fact, Philips says it has increased its manpower across sectors with a total of 9,000 people employed by the company out of the 120,000 worldwide. 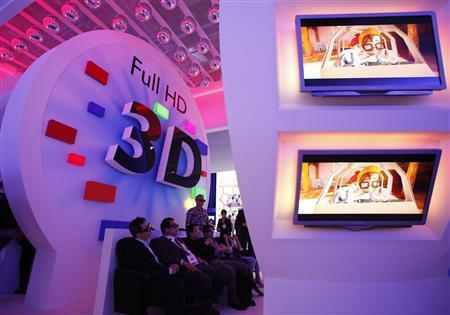 This can only mean more action from the Dutch company, hoping to cash in on a rapidly growing market for its products.